"Squeeeeee!!!! I finally have a tutorial ready for you. My second born, Andrew, turned nine on January 30th. 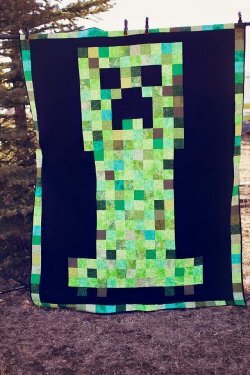 He has a mild obsession with Minecraft, so I made him this quilt for his birthday. "If you follow me on Instagram, you’ve seen the video I posted when he saw it for the first time. To say he was excited would be a massive understatement. It turns out, I had quite an interest on Facebook (only on my personal Facebook; I sadly hadn’t ever gotten around to posting this on my SLS Facebook page). 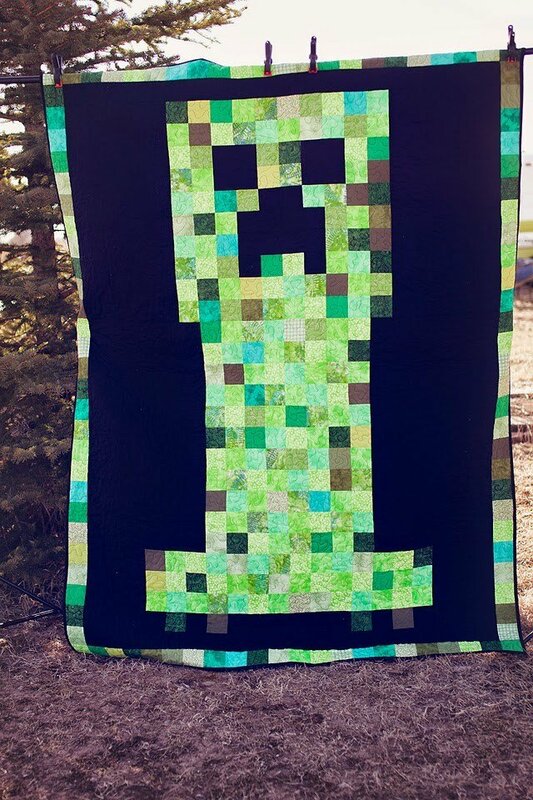 So, without further ado, I give you my crudely constructed Creeper Quilt Tutorial."